(WASHINGTON) — Like millions of Americans suffering from bone loss, Lorice Cortez embraced the prescription drug Fosamax with the hope of stopping osteoporosis in its tracks. But in August 2009 — a decade after she began regularly taking the medicine produced by pharmaceutical giant Merck — Cortez said she experienced a painful and debilitating side effect: a spontaneous broken leg. As the 70-year-old turned to unlock the front door of her house, she heard a “popping sound, then suddenly felt her left leg give out from beneath her,” according to court documents. In an instant, with no trauma or impact, she completely fractured her thighbone, requiring surgery to repair the break. The plaintiffs contend the company failed to warn them or their doctors of the danger, despite early evidence suggesting the increased potential for spontaneous bone breaks without any previous stress. Merck does not dispute the heightened risk of femoral fractures in long-term users of Fosamax and has included a warning with prescriptions since 2010. But the company argues it cannot be held liable for damages in state courts because the Food and Drug Administration in 2009 rejected a proposed warning to patients. “If a manufacturer proposes to warn about a risk, discloses what it knows about that risk, and gets rebuffed by the FDA, failure-to-warn claims against it are preempted as a matter of law,” Merck argues in its brief filed with the high court. A federal district court and a circuit court of appeals divided on whether the FDA’s decision in 2009 preempts the patients’ claims or whether a jury must consider the facts of the case, weighing the FDA’s intent and whether Merck should have proposed different warning language. Cortez “would not have used Fosamax for so many years had [Merck] properly disclosed the risks associated with its long-term use,” her lawyers wrote in a suit against the company. Manufacturers are required by law to inform patients of potential adverse reactions to their drugs as soon as reasonable evidence exists. But the FDA has ultimate authority to approve or reject the wording that appears on drug labels. One year later, the FDA rejected that draft language, saying the warning was “not warranted and is not adequately supported by the available literature” and asked for revised language. Merck said the FDA’s conclusion, based on available evidence at the time, means the company cannot be held liable for failing to warn consumers as required under state law because the federal government wouldn’t allow it. The plaintiffs allege Merck misled the FDA. 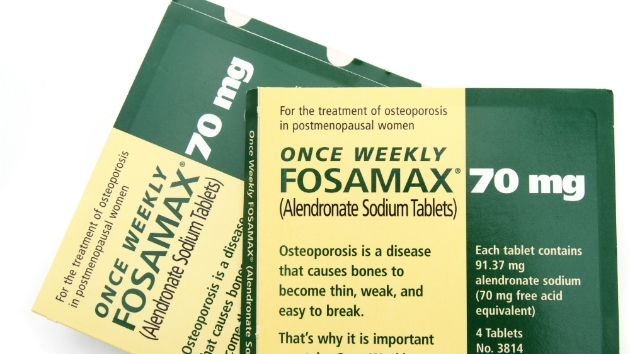 Currently, Fosamax carries a warning of “atypical femoral fractures” — the type of injury Cortez and hundreds of others endured — making no mention of the term “stress fractures.” The FDA mandated the change in 2010 after mounting evidence of a link to the drug. The company maintains that there was insufficient evidence prior to 2010 to support a stronger warning for Fosamax. In an amicus brief filed to the Supreme Court, the Trump administration’s FDA backs up their claim. Merck has “incontrovertible proof, from the agency’s own mouth, that it would not have authorized respondents’ proposed warning until October 2010,” the company argues to the court. “If manufacturers must face tort suits, even when the FDA has made clear that no warning is necessary, they will continue to face an onslaught of troubling coercive litigation,” Merck says. Patient advocates say a jury should be allowed to decide. “It would be a disaster for patient rights, for patient protection,” Robotti said.